Are you ready for a New Year’s bonus? Admiral Markets is offering you a 10% compounding bonus on your profit over three months, from 1 December. During our Season's Greetings campaign, we will credit a 10% bonus based on your profit each month. 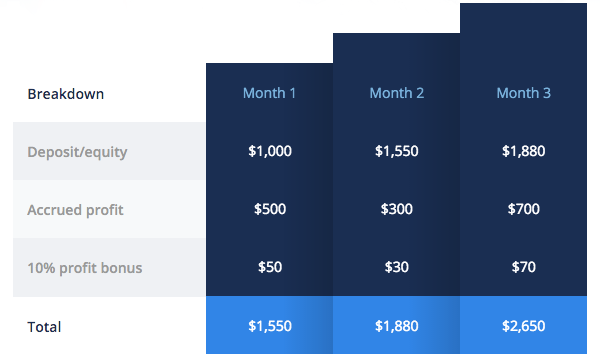 Each bonus adds to the bonus amount credited for the next month (see the table example below). Our President Dmitri Laush says the Season's Greetings campaign is purposefully timed to give traders the chance to earn some extra money in the new year. "Admiral Markets has done a lot to help our traders become more successful over the years - this is another example of us doing that," concluded Mr Laush.